After Slash and before Chinese Democracy, for Guns N' Roses there was 1999's "Oh My God." Only appearing on the "End of Days" soundtrack, much about the song and this time-period remains a mystery. One of the many puzzle pieces of that era of GNR is guitarist Gary Sunshine. Gary tells us how his relationship with Axl Rose started, the unique process of making music with him, and how he feels about the song today. Gary also describes the competitive nature he had ... See More about "Circus of Power" coming out just before GNR in the late 80s. 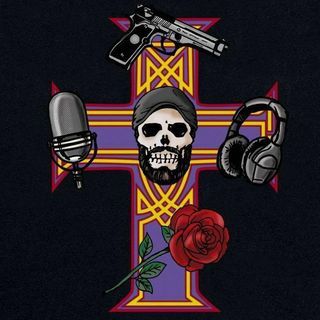 Special co-host Art Tavana also joins us to speak about his new Billboard article, "The Divisive Legacy & Surprising Future of Guns N' Roses' 'Chinese Democracy'"
All this and so much more! Please follow/subscribe/leave a review!